(Press Unit in the Office of the Prime Minister) – St. Kitts and Nevis’ Prime Minister, Dr. the Honourable Timothy Harris, took time out his schedule on Monday, April 16, to attend the Pitch@Palace Commonwealth ceremony at St. James’s in support of local entrepreneur, Mr. Deon Herbert of CaribePay Solutions Limited. 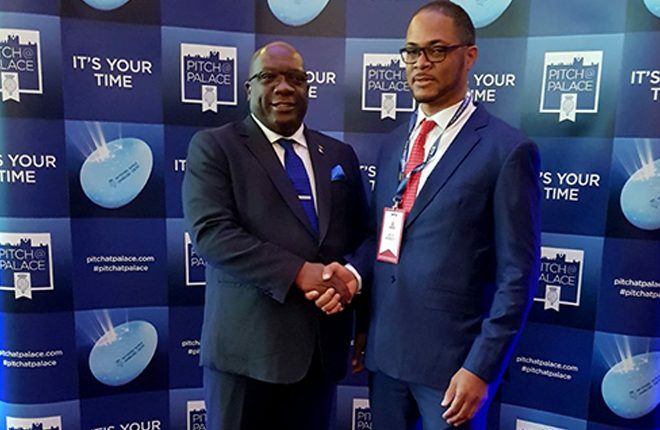 Pitch@Palace Commonwealth, held on the margins of the Commonwealth Heads of Government Meeting (CHOGM), is a platform to showcase entrepreneurs from the 53 Commonwealth countries. 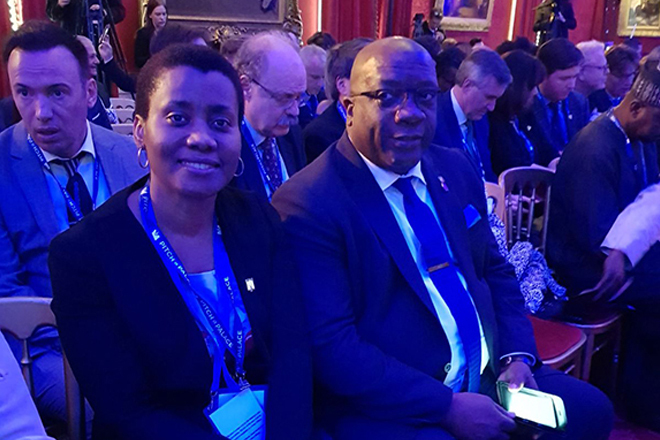 According to its official website, Pitch@Palace Commonwealth will support entrepreneurs by connecting them to local and international networks and helping amplify their businesses. Prime Minister Harris joined the Duke of York and other Commonwealth leaders at the Pitch@Palace Commonwealth ceremony. Mr. Herbert was one of 30 entrepreneurs who was given the opportunity to pitch their businesses at the ceremony in the 30 second category. Other entrepreneurs were given three minutes to make their presentations. With offices in Basseterre, St. Kitts, and St. John’s parish, Nevis, CaribePay offers fast, secure, and cashless payments services that can be used anywhere, anytime, without electrical power or Internet access. 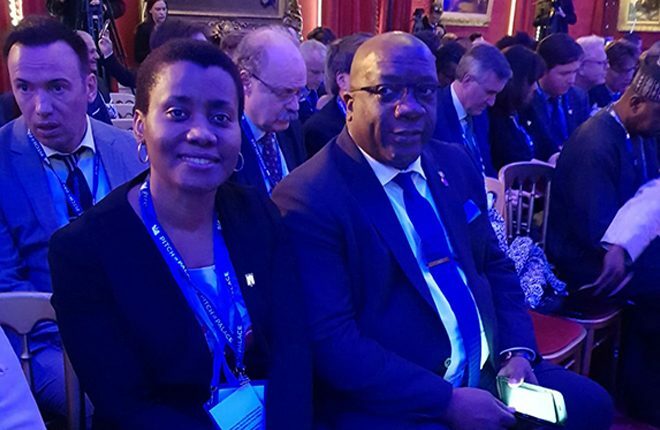 Held under the theme, “Human Tech – Benefits for Humanity,” Pitch@Palace Commonwealth sought to support entrepreneurs that have identified opportunities in the areas of biotech and medtech, education, energy and the environment, internet security, consumer Goods and IOT, artificial intelligence and machine learning, communications, media and entertainment.